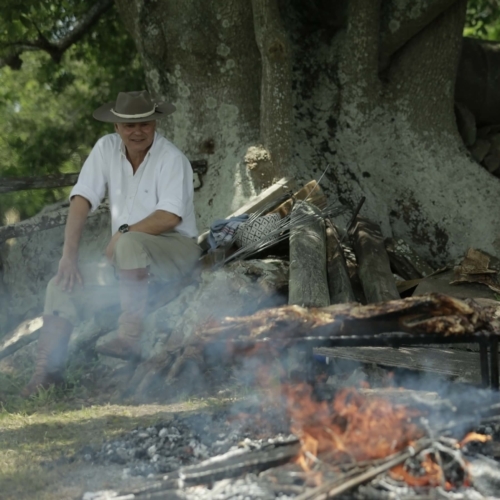 Last week, we talked about how to grill beef the Uruguayan way. Keep building your at-home parrilla while we cover the basics of grilling steak outdoors. Perfect your technique with these grilling tips just in time to knock it out of the park at Labor Day. Everyone will want to be up in your grill this year (sorry, the pun is just too easy). Salt liberally and well in advance – anywhere from forty minutes to a few days. Rest the steak uncovered in the fridge – anywhere from overnight to a few days. Bring to room temperature before cooking, roughly 40 minutes ahead of time. Set up your grill properly. We recommend a two-zone charcoal setup. Remember grass-fed cooking technique: brush with olive oil prior to cooking, cook for about 30% less time, and aim for a rarer product. Use a thermometer to test doneness. Let meat rest before serving. For the detail-oriented griller, read on. 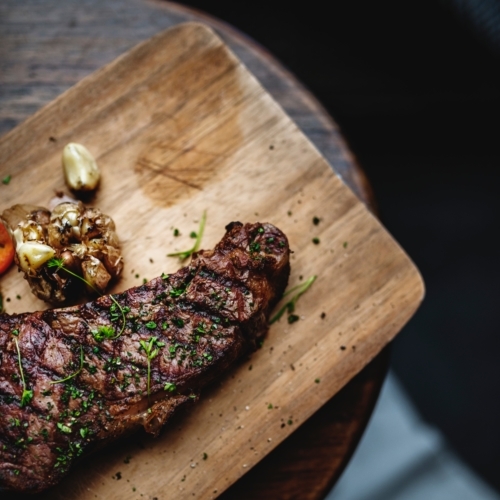 The most accurate definition of steak may come from Urban Dictionary: “the best food known to man.” Beyond that, steak broadly refers to a quality cut of meat, typically cut thick (although this varies) and across the muscle grain. 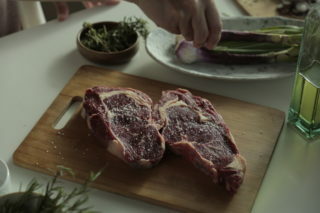 Steak is fast-cooking; that is, due to its composition, it doesn’t need long, slow cooking techniques to break down connective tissue. There are a variety of common cuts you’ll see under the moniker “steak:” ribeye, strip, tenderloin, T-bone/porterhouse (high end cuts); hanger, skirt, short rib, flap (sirloin tip, aka steak tips), and tri-tip (less expensive cuts). Choose your cut wisely. 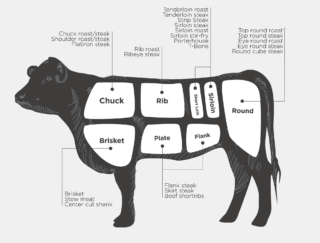 The Food Lab at Serious Eats has an amazingly thorough guide to grilling steak that includes the characteristics of each cut. 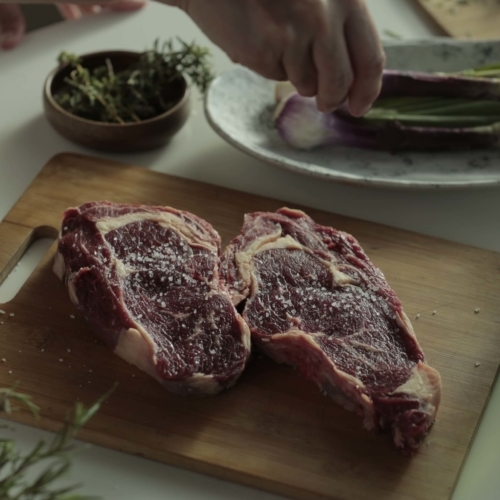 Keep in mind, grass-fed steaks have a slightly different set of rules, which we’ll review at the end of this post. 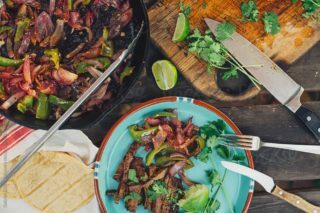 With the basic facts clear, let’s get into the steak grilling tips that’ll make your Labor Day epic. The secret to mind-blowing steak actually starts well before grill day – so put a reminder on your calendar for the end of next week. Brush grass-fed steak with olive oil prior to grilling to accommodate the lower fat content and to prevent sticking to the grill. Salt your meat liberally – as much as four days in advance, and a minimum of 40 minutes ahead of time. Use coarse kosher salt. The salt tenderizes the meat and locks down flavor as juices are reabsorbed. Ideally, let it rest on a rack uncovered in the fridge, anywhere from overnight to four nights. Bring to room temperature before grilling, around 40 minutes prior. 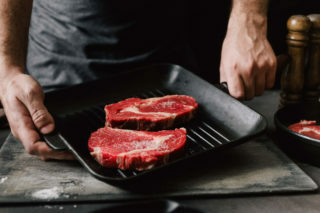 Create two cooking zones for optimal temperature control: one side hot to sear and the other cool for a gentler touch. Simply spread the coals to one side of the grill and leave the other side coal-free. For more on two-zone setup, check out this guidefrom Kingsford. 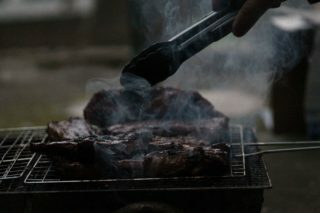 Of course, you can replicate the same effect on a gas grill, just make sure the heat is high enough. 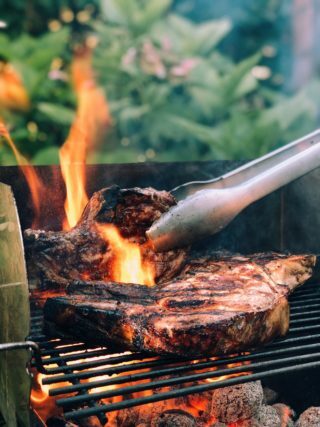 We recommend charcoal because it imparts a smokier flavor and lovely sear, but you can absolutely make a delicious grass-fed steak on your gas grill. Your well-prepared, room temperature steak is ready for action. Using tongs, put your steaks on the hot side of the grill and quickly sear. Depending on thickness, anywhere from 2 – 4 minutes each side. 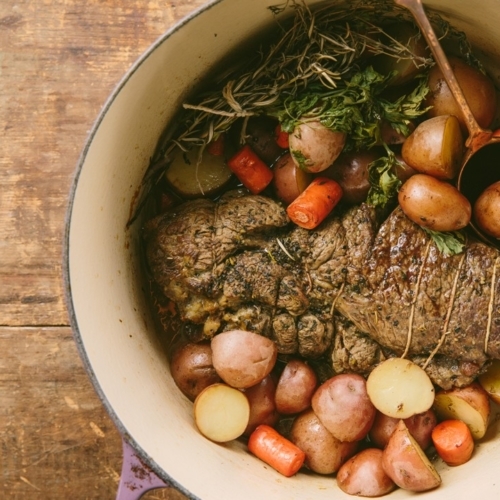 Remember, grass-fed beef requires a shorter cooking time than traditional grain-fed. Also, contrary to popular opinion, you can flip your steak more than once. After searing, move to the coal-free, cooler side of the grate to finish. 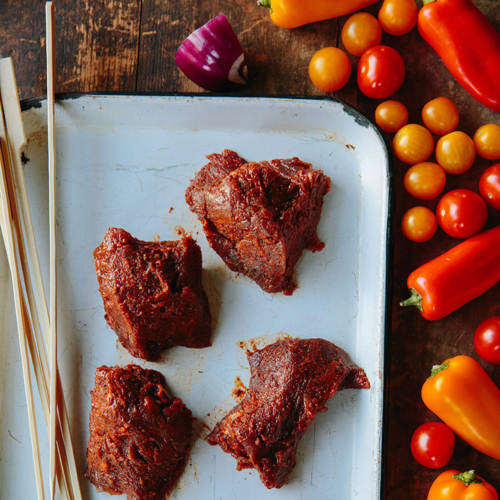 We know you’ll resist, but swallow your pride and use a meat thermometer to test doneness with accuracy. For grass-fed, definitely aim for the rare end of the spectrum to avoid overcooking. Target an internal temperature of 125. Let the meat rest. You don’t like being poked when you’re resting and neither does your steak. Let it sit for at least 10 minutes before serving. Some cooks, Like J Kenji Lopez-Alt from Serious Eats, prefer alternative methods, like reverse searing. Test both and let us know what works best for you. As you know, grass-fed is a healthier, more humane, and more environmentally conscious kind of beef. Its flavor profile is earthier, and many (if not most) prefer the taste. That said, its composition requires slightly different treatment than grain-fed. It’s slightly fickle and newcomers tend to overcook it. Grass-fed cooks quicker than grain-fed. Aim for a 30% reduction in your cook time. Remove from heat source about 10 degrees less than usual target temperature. Grass-fed benefits from added fat; brushing with olive oil prior to grilling does the trick. 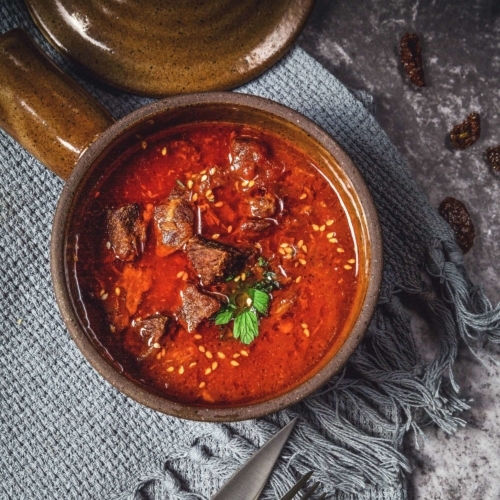 If you’re new to cooking with grass-fed beef, remember the taste will be different than grain-fed – but delicious. 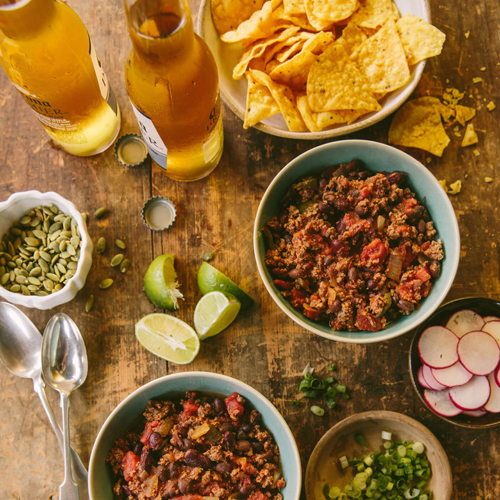 Go with Verde Farms grass-fed beef. Sourced from global family farmers and under ideal conditions, it’s simply the best. 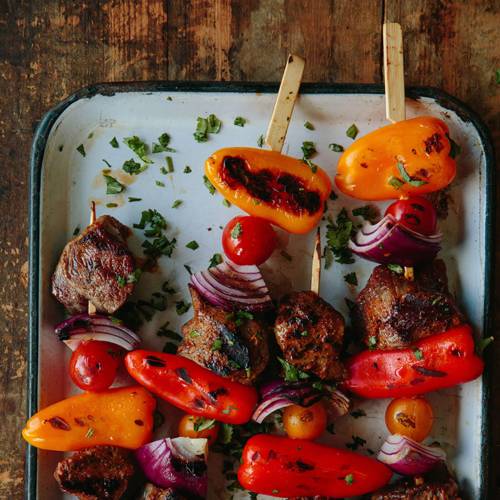 Follow these grilling tips and prepare for the most memorable Labor Day cookout yet. Well, that’s up to you. We like simple and seasonal veggies, like tomatoes or corn, slaw, and salads. But that’s us. Check out 29 grilled steak recipes via bon appétit and be sure to follow the rules above for grilling grass-fed steak.